Check in every Sunday night for the unfiltered opinions of our writers and editors as they break down the hottest topics in the sport, and join the conversation by tweeting us @golf_com. This week we discuss the best storylines (that you haven’t heard about) for the Masters, Tiger Woods’s chances at Augusta National and more. 1. Masters week is finally here. While we know Tiger Woods is looking for his first major championship in a decade and Rory McIlroy is attempting to (once again) complete the career grand slam, there’s plenty more going on. What’s the best Masters storyline no one is talking about? Dylan Dethier, associate editor (@Dylan_Dethier): Brooks Koepka has won three of his last six majors and is coming in decidedly under the radar, which is exactly the position he loves to hate being put in. Sean Zak, associate editor (@sean_zak): Probably Matt Kuchar. We’re so focused on his decision-making snafus this year. Playing some of the best golf of his life. Josh Sens, contributor (@JoshSens): Both good calls. Rickie Fowler is now 34 majors into his career without a win. He was a runner-up last year. Hard to ever call Fowler under the radar, but not as much buzz around him this year with so much focus on Tiger, Rory, Spieth and on. Jeff Ritter, digital development editor (@Jeff_Ritter): Can we just say, “All non-Tiger stories?” Outside of the competitors, I’m excited to see Augusta’s first course alteration in several years: the new, stretched-out fifth hole. It was already one of the five or so hardest holes at Augusta, and now it’s playing 40 extra yards. That hole is going to ruin a few weeks. Maybe this is the year we alter the phrase to say, The Masters doesn’t start until the fifth hole on Sunday. Michael Bamberger, senior writer: Will this become the year that the game’s overlords realize that the par-5 as we once knew it is on death watch, if not already dead. 2. 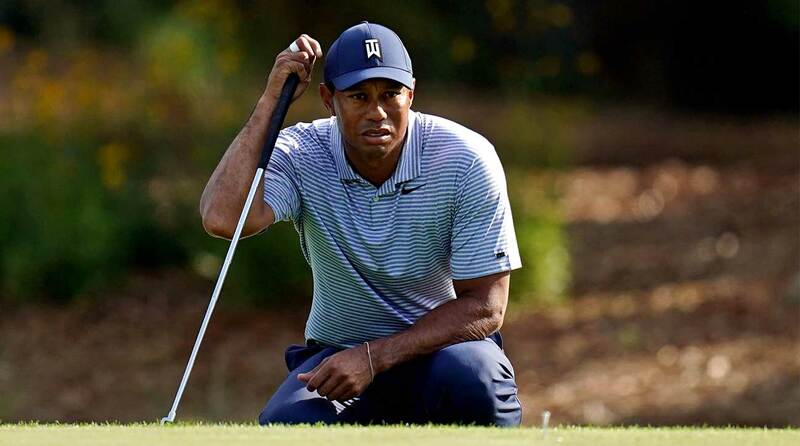 Tiger Woods is a 14/1 betting favorite to win the Masters, and only Rory McIlroy (7/1), Dustin Johnson (10/1) and Justin Rose (12/1) have better odds. Does Vegas have it right? Dethier: Tiger feels like he should be closer to 20/1. Still, this is Augusta, and it’s Tiger, so it’s natural for some inflation. Zak: Vegas ALWAYS has it right. What is always wrong is the betting public. Bamberger: Zaketh speaketh for me. Sens: That’s true, Zak. And the betting public is pretty much always long on Tiger. Vegas simply responds to that. The odds are inflated. But this year, Tiger’s going to make it interesting down the stretch, so a wager on Woods will still pay off for a gambler in the sweat, as they say. Ritter: I’d probably have him at about the 10th-best bet on the board, so the current odds are a little off for me to get in on it. But hey, at least we’re not having a “Tiger vs. the field debate!” Those were the days. 3. Who finishes higher: Tiger or Phil? Dethier: I think Tiger contends. I’m less sure Phil will. Zak: Tiger. He won’t MC. Phil could. Bamberger: I’m not punting here, but I think they will both play well. That doesn’t mean contend, though. In which case, it really doesn’t matter, who finishes ahead of whom. Dethier: I’d love to throw Spieth in and make this a fascinating trio — Zak’s been quietly forecasting a Spieth MC for months. Ritter: I think Tiger finishes top 10. Phil could too, but, as ever, he’s a bigger wild card. Tiger Woods has won the Masters four times already. Is a fifth coming this week? 4. Jordan Spieth finished T30 at the Valero Texas Open on Sunday for his best stroke-play result of the season. The three-time major champ has dropped to 32nd in the World Ranking yet heads to Augusta still not having finished worse than T11 in his five starts there, which includes four finishes in the top three. Does he rekindle the magic again, or will this friendly terrain not be enough to end his slump? Dethier: Spieth and his fans are counting on the magic of the Masters to bring him out of a decidedly un-Spiethlike 12 months. I’d expect to see him post a couple of good rounds, too. There’s a formula for him to succeed: he hits it okay off the tee (which would be great for him, this year) but misses in the right spots. His approach game, elite in past Masters, catches fire on the familiar Augusta grounds. And his putter, which has shown signs of life, remains steady. Will he pull it off and piece together four good rounds? I don’t think so. But the answer will be one of the most fascinating storylines at Augusta. Zak: Jordan doesn’t have a single part of his game bailing him out like what’s happened in past Masters. In 2016, it was his putting. In 2017 and ‘18, he was an elite ball-striker. This year, he’s got nothing really going strong. That’ll keep him from contending. Sens: By ending the slump, do we mean a win? If so, no. Don’t think so. But I think Spieth in his happy place will be a much better Spieth than the one we’ve seen of late. Bamberger: If he wins and then does nothing for the rest of the year, is he out of his slump? No, but he’d likely take it. Ritter: If he wins then the Spieth-Augusta magic is real and we will never again make the mistake of writing him off early. But like Zak mentioned, so many parts of Spieth’s game appear to be in disarray, it’s hard to imagine it suddenly clicks for 72 holes this week. 5. The inaugural Augusta National Women’s Amateur concluded live on NBC on Saturday afternoon, with Jennifer Kupcho fending off Maria Fassi in what was a dynamite final pairing. What’s your takeaway from the first installment of the ANWA, and what would you do to make the event even better? Dethier: I know it ended up as a four-shot victory, but that was an incredible duel down the middle of the back nine on Saturday afternoon. I was drawn in by the absolute fearlessness with which both these women tackled the finishing stretch. It was insanity. Three shots I won’t soon forget: Kupcho’s second shot into 13, her slinging draw over the water at 15 and her finishing putt at 18. As for what I’d change: If it’s the Augusta National Women’s Am, every woman in the field needs to play a competitive round at Augusta National. Make it happen some way. Zak: Yeah, it can’t be hard to carve out two rounds at ANGC. But then again, the members of that club are protective as all hell. The women were given just one practice round there, and shortly after that practice round, members were out and about playing their course. Their grasp is tight, but they let it go for a full week. What’s another couple of days? My true takeaway is a memory. The little girls pushed to the front of the ropes during the ceremonial tee shots. The little girls chasing around autographs. The competitors planting themselves on the turf outside the clubhouse, taking it all in. Saturday was a special day. Sens: That was pretty much as good as it gets. But I’m with you both. Give everyone a crack at the course. Bamberger: All good points, and, and this is not an original thought, but if it’s going to be 30, make it 30 and ties. BUT the event was spectacular, special, great for golf. One of the most basic truths about the Masters is that it makes you want to play golf, whether you’re a golfer already or thinking about becoming one. For women to see women players on this celebrated course expands the invitation list in a huge way. Also, the women were playing the course as its designers would relate to — a few could go for 13 and 15; long irons and hybrids into some of the par-4s. That was one of the most enjoyable aspects. The TV coverage was excellent. It was understated, appropriate, accurate. I loved the whole thing. Ritter: Agree with everything here. I thought it was great. Among all those little girls along the ropes, I bet there was at least one future ANWA competitor in that crowd on Saturday. Maybe even a future major champion. The real impact of this event will reveal itself over time, but it was an excellent debut. 6. In a special Masters edition of our anonymous Tour pro survey, 40 pros (all of whom have played in at least one Masters) gave their unvarnished takes on Augusta National and the Masters. Which one answer most surprised you? Dethier: I was surprised that 28 percent of players thought Tiger Woods should have WD’d from the 2013 Masters. Regardless of right or wrong, it’s rare to see players break ranks like that — especially when Woods is involved. Bamberger: I’m surprised, too, Dylan. I’d have thought it would have been closer to 100 percent, although not if Tiger was one of the anonymous respondents. Zak: I’m surprised that 33 percent of the pros surveyed are still mulling about the pin-in rule. Give it a rest, guys! Sens: That 7 percent of them said they wouldn’t accept an Augusta membership if offered. Not a huge number but still higher than what I would have expected. What, they’re uncomfortable around all that corporate money? Ritter: Nearly one in four would be fine playing a limited-flight ball, much more than I would’ve guessed. Bamberger’s campaign is working. 7. In that same survey, the pros revealed a long list of things that only the pros know about Augusta National. What’s one thing about ANGC that only you know (well, until now)? Dethier: There’s some funky heating/freezing system in place behind the azaleas to make sure the blossoms behind Amen Corner bloom just so. And there’s also one Dethier golf ball buried in Rae’s Creek. Zak: There’s a section of the property that has SUPER dense bamboo-like trees. If someone (like me?) wanted to stay on the property past its bedtime, that’s your best place for hide-and-seek. Bamberger: If you come to the club as a member, leave your logoed clothing from your other clubs at home. Ritter: I’m pretty sure the top of the grandstands left of the green on the par-5 15th is the single best place to see the most golf from one spot. You can watch approaches and putts on 15, tee shots and putts on 16 and tee shots off 17. If you want to maximize your time at Augusta, that’s the place to hang.